Russian energy major Rosneft is increasingly challenging domestic rival Gazprom in international gas markets, from West Africa to Turkey and even Europe, according to five industry sources with knowledge of the matter. Last week, Rosneft won a multi-billion dollar contract in Ghana that had been targeted by Gazprom, the sources said. It also signed a gas fields and pipeline deal in Iraqi Kurdistan aimed at supplying gas to Turkey and Europe — Gazprom’s core markets. Oil-focused Rosneft’s international expansion in gas will put the two Russian state-owned giants in direct competition, particularly in the lucrative European market, which is worth over $150 billion a year. Rosneft has also hired a handful of ex-Gazprom employees in recent months who advised on the Ghana deal and has poached one of Gazprom’s senior European risk officers, according to the sources and information on LinkedIn. Rosneft and Gazprom declined to comment. While Rosneft could potentially take some gas market share from Gazprom, it is unlikely to be able to make a major dent in its rival’s dominance. Gazprom, which has monopoly rights on gas pipeline exports from Russia, is the world’s biggest gas producer and the main supplier to Europe, where it shares has steadily grown to reach nearly 40 percent last year. 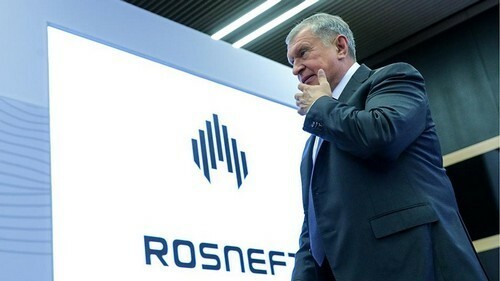 The Rosneft drive, aimed at boosting earnings as the world moves towards cleaner fuels such as gas, points to an attempt by Rosneft CEO Igor Sechin, a powerful ally of President Vladimir Putin, to further expand his influence. Sechin has repeatedly lobbied the Kremlin to curb Gazprom’s export rights, including in a letter to Putin in 2016. “Rosneft has been long trying to persuade the Kremlin to dismantle Gazprom’s monopoly. Having failed to do it from within Russia, they are now trying to do this externally,” said one of the sources, who works with Rosneft on gas projects. Rosneft announced the Ghana deal last Friday, a contract worth almost $10 billion at today’s prices to ship 1.7 million tonnes of LNG to the country over 12 years. 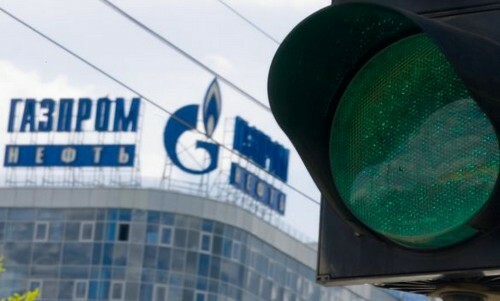 However, three sources said the project was initially supposed to go to Gazprom, which signed a preliminary deal with the Ghanaian government last September. The agreement fell apart because Gazprom was slow to finalise it due to a restructuring of its export division abroad, added the sources, who declined to be named due to the sensitivity of the matter. “Due to a corporate restructuring, Gazprom’s supply obligations under the agreement have been assumed by Rosneft,” said Ghana’s National Petroleum Corporation, which signed the deal. 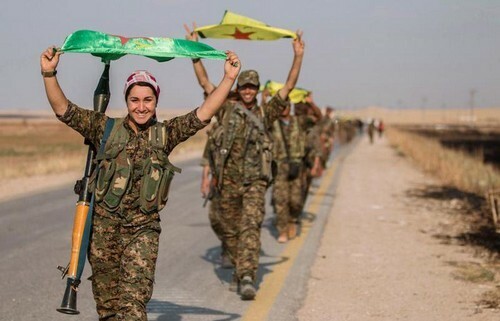 The Kurdistan project had also been offered to Gazprom — although much earlier, at the end of last decade – but it was never finalised, allowing Rosneft to expand its dominance in the semi-autonomous region beyond oil, according to two sources close to the contract. The deal, to develop gas reserves in the semi-autonomous region and build an export pipeline, was also announced last Friday but neither Rosneft nor the Kurdish Regional Goverment (KRG) have disclosed potential export volumes or destinations. The two sources said Rosneft would build a pipeline which would have a capacity of up to 30 billion cubic metres (bcm) a year when it begins operation early in the next decade. The pipeline could supply up to 10 bcm of gas to Turkey and up to 10 bcm to Europe, putting Gazprom’s Russian gas in competition with Iraqi resources, said the sources. A spokesman for the KRG’s national resources ministry said the government did not comment on the corporate activities of international energy companies in the region. Rosneft could also supply Europe with new volumes from the giant Zohr gas field in Egypt, where it is a partner in a joint venture with Eni and BP. The projects’ partners have said gas would initially go to Egypt but could be also liquefied for exports at a later stage. Oil-focused Rosneft is Russia’s most valuable energy company with a market capitalization of $65 billion, but its gas operations are relatively small — with an annual output of 68 bcm — though it is expanding them rapidly. It is dwarfed in gas by Gazprom, which has an annual output of 471 bcm. Gazprom supplies 200 bcm of gas a year to Europe and Turkey, and volumes have grown steadily in recent years. The gas giant, worth $54 billion, is the biggest supplier to Turkey with volumes of over 25 bcm a year, representing more than 60 percent of the country’s gas demand. Gazprom’s biggest rivals in Europe are Algeria’s Sonatrach and Norway’s Statoil while globally it faces competition from liquefied gas from Qatar Petroleum and the United States. One of Rosneft’s recent hires was Gazprom’s head of risk in Germany, Dzhamil Bulgakov, according to two sources and Bulgakov’s LinkedIn profile. He has been working for Rosneft’s gas export offices in Germany since last year. Bulgakov could not be reached for comment. Gazprom is currently restructuring its export division and plans to cut hundreds of jobs at its overseas trading and export offices, including Britain, and move them to St Petersburg, sources told Reuters in March. Some former employees from Gazprom’s trading offices have been working as advisers to Rosneft on the Ghana deal in recent months, according to two industry sources. 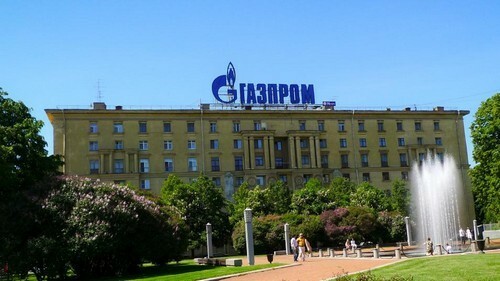 It was not clear if the staff had been poached from Gazprom, or had already left in the restructuring.